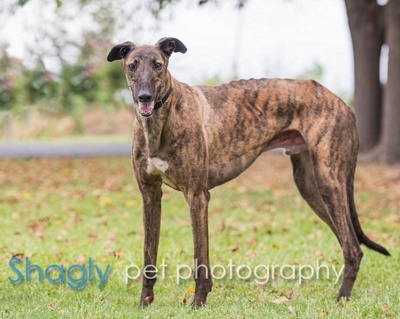 Prime, aka Fast Prime Time, is a 4-year-old brindle male born May 16, 2012. His sire is Lonesome Cry and his dam is EF Centipede. Prime has 90 races on record in Florida from 2014 to 2016. 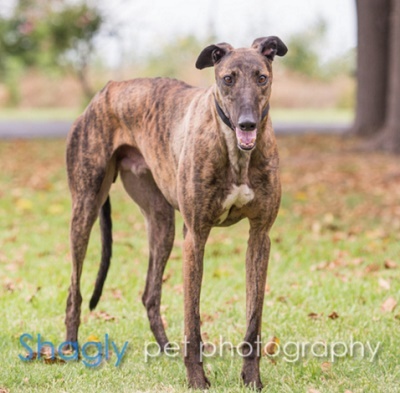 Prime was part of the Greyt 32 Arrival!